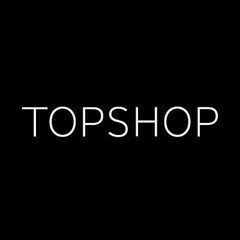 Topshop Kuwait, last updated on 24 April 2018 , is listed under Apparel & Clothing category. It was added to Kuwait Directory Rinnoo.net on 16 April 2016 . Pages of Topshop Kuwait on Rinnoo.net have achieved 29,059 views till now. Topshop is the ultimate fashion destination. Since it launched in 1964, the brand has become a fashion phenomenon - exemplifying up to the minute affordable style, with a brave and irreverent approach that has captivated the fashion-forward and industry leaders alike. Topshop doesn't cater to an age group, but rather, an attitude. Style-savvy and independent, the loyal Topshop shopper is addicted to fashion but not dictated to; opting instead for a cutting-edge look that expresses her personality. Students, professionals and fashion trend-setters alike are united by their desire for the latest forward-thinking styles. Over one million customers visit the stores every week, in pursuitof an up-to-the minute fashion fix. Since it launched in 1964, Topshop has become a major style authority with over 400 stores in the UK and overseas. In 2005, Topshop showed its own acclaimed in-house designed collection Unique as part of the official London Fashion Week schedule, which subsequently forged exclusive partnerships with international boutiques.